There are a lot of aspiring bloggers who don’t know what free tool to use for the blog that they want to create. What are the best free blogging sites in the market? So today, let me go through the list of the best free blogging sites that you can use. The first on my list is one that I use myself. I highly recommend that you start with WordPress. All you need to do is go to wordpress.org and download the software script. The minimum requirement is that you have your own host. Don’t worry about hosting! There are a lot of reliable hosts in the market. You can check out Bluehost (CLICK HERE). I’m building a blog for my daughter and I am seriously considering this. Since most of the content that she produces is on Youtube.com, she only needs a site where she could amplify the content that she has made. What I like about Weebly is that the free designs are very elegant and modern. If you are putting up an online store, Weebly is one of the best free blogging sites for you. It has features for e-commerce. It provides an easy way of link-up to your social media accounts. Tumblr is a classic. It was one of the sites that I had before I had a full blown one using WordPress. What I love about Tumblr is that it is so simple to do anything you want to do. The user interface is so easy. You can upload a photo, share a link, share a video or an audio; it can help you post practically anything under the sun. 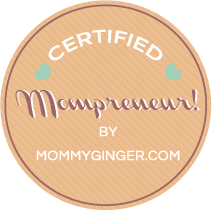 Blogger is one of the favorites of blogging newcomers! A lot of people find it easy to navigate through Blogger. It is a free service with a free domain in Blogspot.com. My first blog, ManilaReviews.com was actually on blogspot before we migrated to WordPress.com. You can sign in using your Google ID, since Blogger is a Google service. It also offers customized themes and is simple to use. I hope you found today’s blog post under my blog series useful! Talk to you again next Friday. Please do not forget to leave a comment below on other topics related to blogging that you would want to know. If you have questions, feel free to leave a comment. Rain reminds me of blogging. It’s raining again and in times like these, I love writing. Blogging really relaxes the hell out of me! haha! 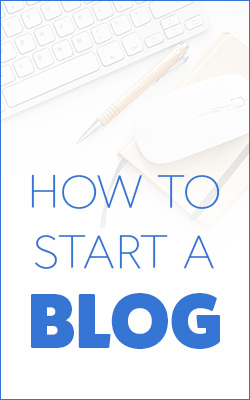 Create and start a blog, people! You won’t regret it. Don’t worry about the technical stuff. In fact, today, I will help you tackle on of the slightly technical things: web hosting. When you want to create a blog, one of the things that you need to look for is a web hosting provider. Web hosting is where you can store your blog. You don’t need manual servers! For those who want to know what web hosting is all about, here is a very interesting video. I love the very simple explanation! Now, I’m sure you will want a step by step guide on how to set up your own web hosting for your blog. One of the hosting providers that I use is BLUEHOST. I use Bluehost because they have great customer service and they are reasonably priced. Today, I will share with you the simple steps that you need to go through when you want to have a web host for your blog. So the first step is to click on this link to go to the Bluehost site: BLUEHOST WEBSITE. Once you arrive at their page, click on the green GET STARTED NOW BUTTON. The page will then show you the different plans available. I suggest that you get the PRIME option if you are creating a website though for a business. If you have a business, this package already has SiteBackup Pro so that you don’t need to worry about backing up your site. If it’s a blog, the PLUS or the BASIC package will do. After you have selected your plan, you can look for a domain name (this is free when you subscribe to BlueHost or key in the domain that you have already bought. Click on next and it will ask you for your information. Just key in the information that BlueHost needs. Key in your payment details and that’s it! You have already purchased web hosting for your blog. If you have more questions, you can easily start a chat session when you click on the chat tab. I hope I was able to show you how easy it is to set up hosting for your blog! Happy Blogging!